Price - 0.30EUR = 0.40USD. Back in July, I brought back both the Pepper Sauce, this Spicy Thai Sauce and a couple packets of Pomme-Frites-Sauce from France. I've held off on writing this mini-review since I just didn't think it would be at all interesting. 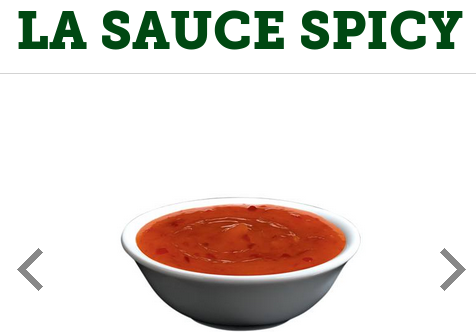 Go back and read the Pepper Sauce review to see how hard I had to look to get these sauces. I ate this Spicy Thai Sauce alongside the Pepper sauce after returning to Singapore and after that massive disappointment, I wasn't expecting much from this one either. When opening the package, I instantly noticed how red the sauce was, it was so red I swear it must have been radioactive. I had just managed to choke down a couple bites of the Pepper Sauce, so I went into this one with a bit more caution. It was thicker and stickier than any Thai Sauce that I've had in Asia, and it clung to the DIY McChicken patty nuggets with frighetning ease. One dip and this stuff was stuck on there permanently. I could tell that they were trying to attempt a sweet chilli sauce, but it just ended up more sweet more than anything spicy. There was actually 0, and literally mean zero spice to this dip at all. The only upside to this sauce was that it wasn't completely disgusting like the Pepper Sauce, but it wasn't enjoyable in the slightest. 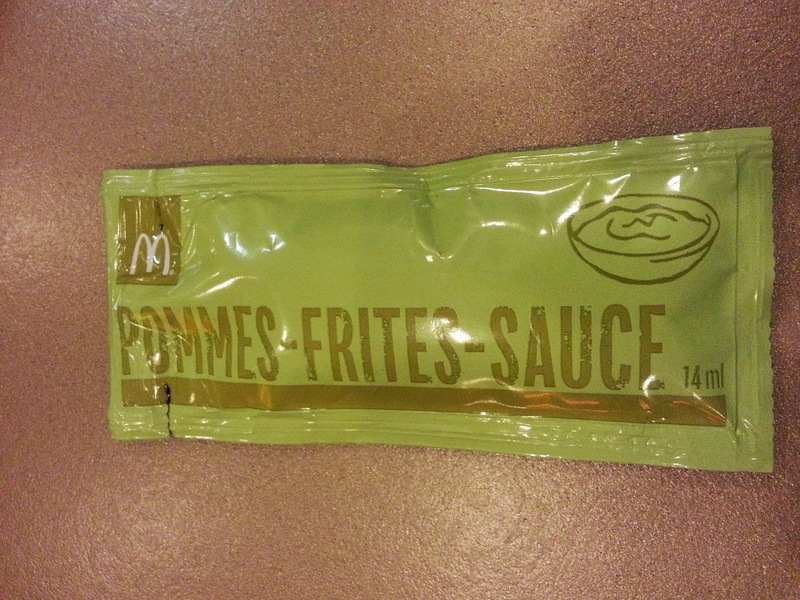 The Pomme-Frites-Sauce, I tried a bit more recently, along side my failed attempt at reviewing the Nacho Cheese McShakers. These aren't a promo sauce, and are simply given out with any order like ketchup or mustard. 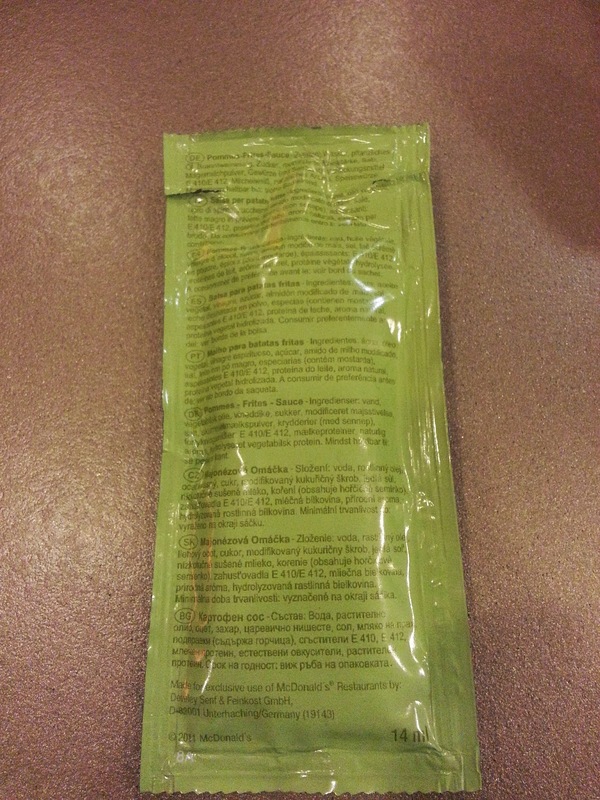 Strangely though, I visited McDonald's three times on my trip to France, twice of which I ordered burgers and fries, I was only offered these when I was purchasing the Pepper and Thai sauces on their own. I didn't think this deserved a review on it's own, since it was mostly a spiced mayonnaise, but it was actually quite a bit better than either of the nugget sauces. I researched a bit online to see if Pomme-Frites sauce has standard ingredients, but it looks like it can vary depending where you get it. 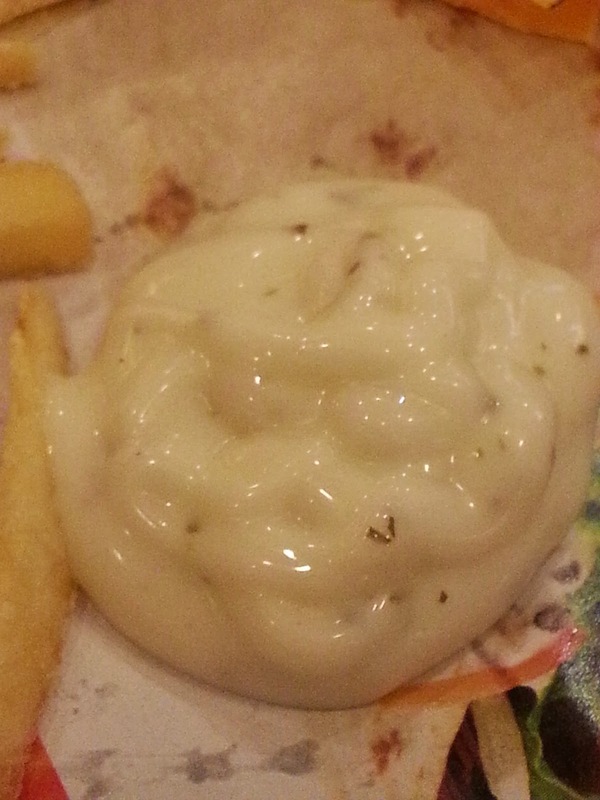 This McDonald's version was mayo, spiced with a little bit of mustard seed. I'll be honest, in that you could hardly taste anything but the mayo, but it was still light and a decent dip for your fries.